But Franklyn D. Resort (and sister property FDR Pebbles) takes "all-included" one step further: each family has their own "vacation nanny" during their stay. Many families request the same nanny, year after year. She'll play with your child, take them to the kids' club or arts and craft center or other activities; or if you prefer, she'll hang out with you, watch toddlers in the pool while you relax, and so on. The Petit Club and Mini Club have an entire building, with separate rooms for different age groups; outside is a big playground, choo-choo, pool... And that's just the home base. Meanwhile, teens (only) can try out The Ramp": with skateboard ramp on one surface, teen lounge tucked underneath, and on top a space to hang-out topped by a canopy where movies can be shown. 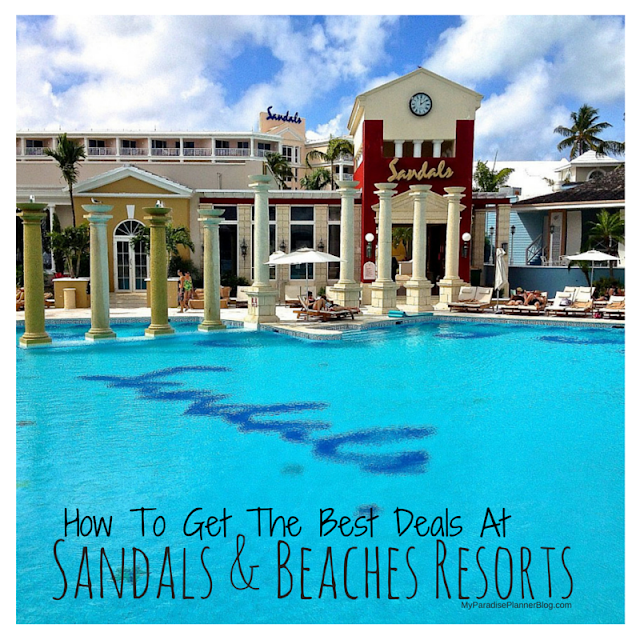 Beaches is the family brand of the Sandals chain of all inclusives, and this resort is a popular spot: often fully booked even in summer-time. Beaches Turks and Caicos guests are drawn by the white-sand beach, and turquoise sea with coral reef; the nursery and kids programs; Pirate's Island kid center, with giant pirate ship, water slides, kids-only pool, and video games; by Beaches' partnership with Sesame Street, which brings Cookie Monster and pals on-site for meet'n'greets, shows and activities. And if that's not enough: well, you can sign up for Concierge or Butler Service. Turks and Caicos, by the way, is an island chain halfway between Florida and Puerto Rico; flight time can be as little as 1 hour. Kids programs serve three age groups, including infants. Parents can view printed schedules and pick activities their kids will like. daily schedule includes family activities, themed by day. Beaches Boscobel Resort & Golf Club is on Jamaica's north coast; transfer to the resort can take two hours (though again a short plane flight is possible.) Beach is small but pool is large, there's a kiddie pool, and 2007 brought a new Pirates Island water park. Golfers love the all-included greens fees, and golf programs for kids. Starfish = Star Value: lots of fun on land and sea, at an excellent price, at this three-star brand of SuperClubs. Location is on the north coast of Jamaica, 23 miles from Montego Bay. Landlubber fun includes minigolf, trapeze, and rock-climbing. Starfish has multiple pools, and they're lots of fun: "pool in the pool", a sports pool, kiddie toys to float on. And there's a kiddie pool with castle theme and waterslide. Starfish has a lovely beachfront spot, with a small island: wade out and grab a hammock, while your kids play in the sand. Kids programs are offered for ages 6 months to 3 years, and 4 years to 12 years old. You can either pay a small extra charge for this service (and for certain other activities), or buy the Platinum all-inclusive plan, which is still reasonable, and includes the whole deal. Like Starfish, Breezes is a brand of SuperClubs resorts. Breezes Curacao is on the Dutch Caribbean island of Curacao, a 2-1/2 hour flight from Miami,(and out of the hurricane zone). Breezes Curacao Resort Spa & Casino is a 15-minute ride from the colorful historic town of Willemstad (a UN World Heritag site): picture an Amsterdam canal street painted with your kids' pastel crayons. And by the way, the price is often right at this resort, thanks to frequent promotions. St. Lucia is in the eastern Caribbean. US visitors often route through Miami (approx. 3 hours flying time) ; direct flights also depart from several Northeast US cities. Many tourists also visit from the UK.